I went Live on my Facebook page yesterday to talk about pizza (PS do you like my Facebook page? I’d love to connect with you there!). Can you believe it!? 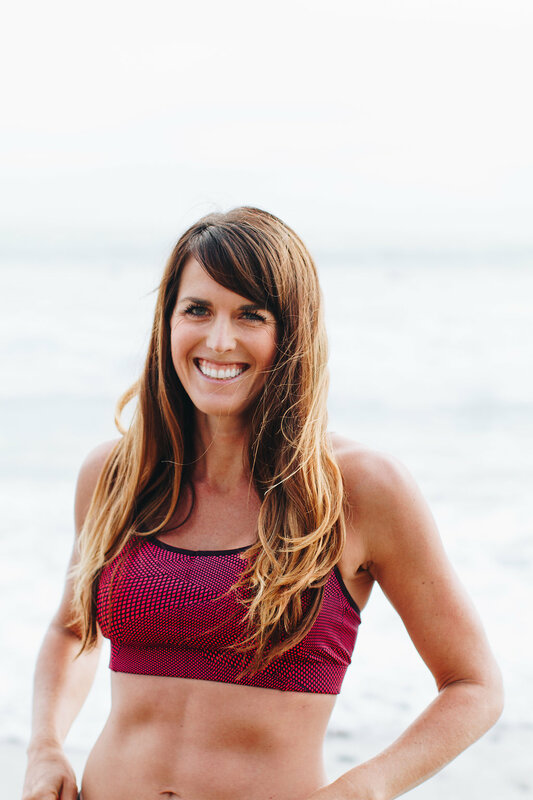 Doesn’t seem like something a health and fitness coach/blogger would talk about, but I really wanted to address something that I think is really important – BALANCE! Why yes, I did just finish a program where I rolled up my sleeves and followed the nutrition plan and lost the 4 pounds I had gained post marathon. I counted my containers (not calories, containers!) and did not allow myself to eat 3 bowls of popcorn in the afternoon like I may do sometimes during marathon training. I ate more veggies, fewer grains and I admit, sometimes I was a little hungry! But, I still ate pizza twice during the three weeks. I regularly eat pizza, usually weekly. Why? Because I freaking love pizza. It’s my favorite food. I believe life is about balance and although I definitely think that if you want outstanding results from any weight loss program, you need to cut back on things like pizza, I still think it’s ok to have whatever it is that you love once a week. Before all of my challenge groups begin, I emphasize how important the nutrition plan is. But with that, I also encourage people to schedule one “cheat meal” per week. I actually dislike that term, “cheat meal.” I need to come up with a better term. Because in actuality, that pizza or ice cream or whatever it is that you want to indulge in, IS part of the plan. So it’s not a cheat. The key here is, making it a one time thing. You can’t eat the pizza Thursday on date night and then justify splurging at a birthday party Friday night and a BBQ on Sunday if your goal is weight loss. You just get one (if you’re going for results that is – otherwise, in my day to day life, I’ll indulge at all three events, within moderation). The good news is, that once you commit to changing your lifestyle so that your day to day eating revolves around mostly whole foods in moderation, you CAN have your cake and eat it too without the scale going up or your running suffering (I’ve found a signifiant correlation with how I feel during my training runs and how I’ve been fueling my body). What’s your favorite food? When you are following a plan, are you an all or nothing type person or more of a moderation person? I’m definitely a moderation person. I can’t go without my favorite for more than a few days, but I can cut back and make better choices. I’m all about moderation but I also eat pizza every week. It’s literally my favorite food! I too am about moderation as as said above, we eat pizza almost every week too. Majority of the time we make our own pizza, it’s so much better that way. Sadly, ice cream is my favorite food. Pizza is up there, too. I’m all about moderation. Restriction isn’t a good place for me, so I try to treat myself, but in reasonable portions and quantities. Ice cream is probably #2 for me! I love Asian cuisine! I don’t do well with restrictions if I tell myself I can’t have something I want it so I don’t. Moderation is key. I’m a pizza lover, too. Although weight loss is not an issue, I do believe a little “cheating” is alright once in awhile. I don’t crave the naughty foods if I know I can have them in moderation. I am all about moderation too. I also don’t like the term cheat meal maybe eat your favorite foods meal? Oh I’m such a pizza fan too! I believe in everything in moderation! PIIIIIZZAAAAA!!! I was spoiled. I went to Italy for a family vacation, and the pizza there was insane. Now, I’m hunting around here in Jacksonville for a place that makes authentic Italian pizza because the way they made it there is just far too delicious to pass up. And I firmly believe that you should be able to eat everything you want just in moderation. So why not eat it all? You are doing the right thing girl! Pizza in Italy is so good (which is what i’m eating in the photo!)!!! We have a lot of really good pizza here in Encinitas – all different kinds! I can’t go back to the chain pizza restaurants now that I’ve seen the light! I hope you find some amazing pizza near you soon! I’d love to be a moderation person, but being pregnant… there is very little moderation happening! I’m all about everything in moderation. If you completely deprive yourself of the things that you enjoy most, you likely won’t be successful in your weight loss and/or fitness journey. We cheat every Saturday night. It’s usually pizza or Mexican food. And always desert. Our kids “cheat” with us as well (although we don’t call it that). I find it so much more sustainable to eat 20/21 meals healthy and go crazy with the 21st ? Totally agree! And I hear you on not calling it a cheat meal around kids either. “Treat” is a good word! I actually agree with you on the spreading out the treats thing! I tend to have a small dessert most nights (usually chocolate covered bananas for a piece of chocolate) but when I try to go “no dessert” for a full week, I end up really wanting a big bowl of ice cream or something like that! I fell in love with this post as I love to have pizzas and also I need to lose little of weight. So, from leaving it totally, I shifted it to twice a month so that I did not feel bad for not having pizza. Glad to hear it! Moderation is key! Hey, I’m glad to tell you that I have been practicing this routine from last one month now. I feel my body much lighter and active. I’m surely gonna to follow this routine for long life.